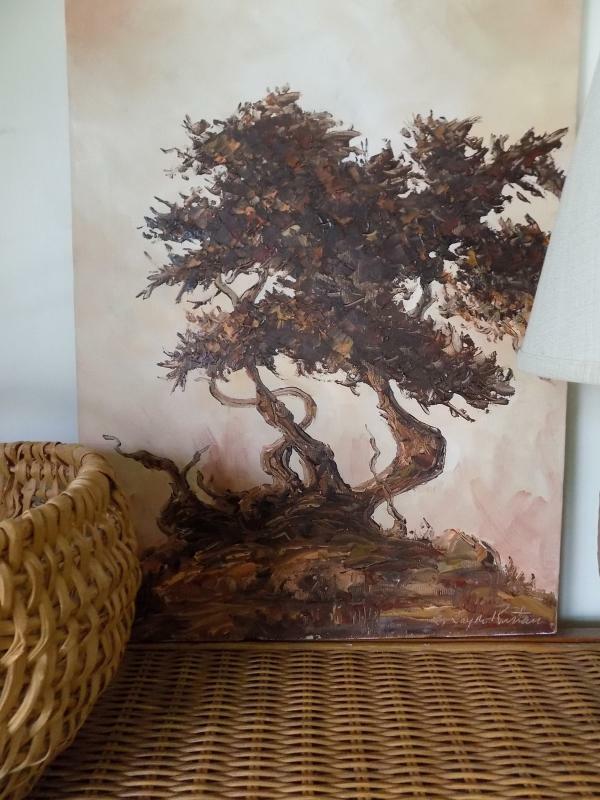 A beautiful impressionistic image of a Monterey Cypress tree, this oil painting on canvas was done by E. Layne Rustan in 1981. 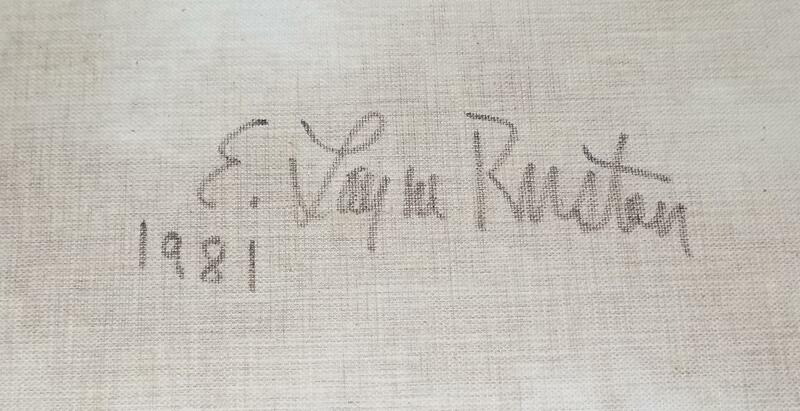 Mrs. Rustan (1926-2003) was a professional artist listed in the Benezit Dictionary of Artists; her listing states "American, 20th century, female. Painter. 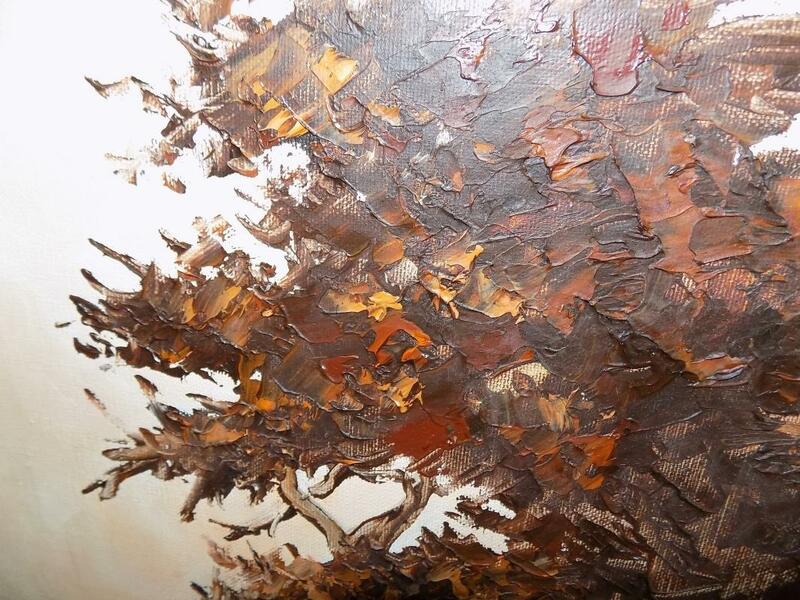 Landscapes....using a generously applied paste-like paint." She expertly used both a painting knife and a brush to create paintings like this one that are layered with texture and color. 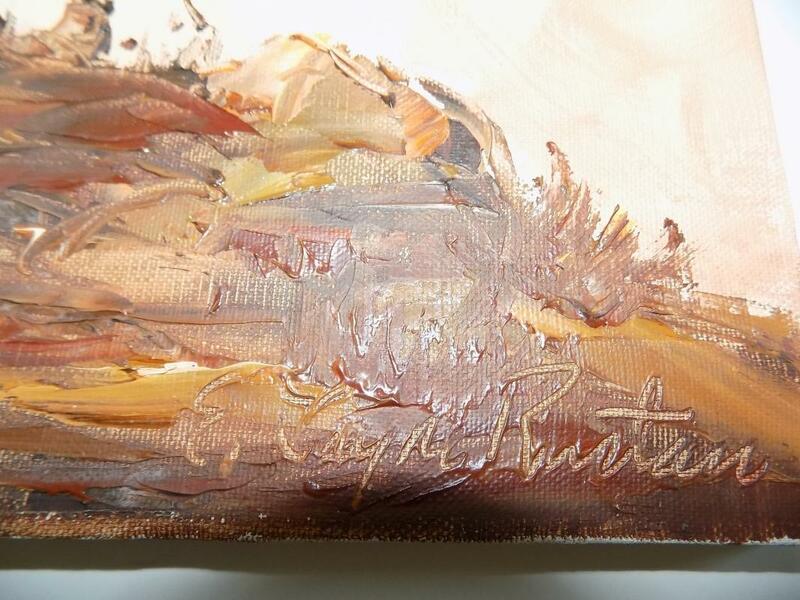 Rustan is also registered in the Library of Congress in Washington, D.C. and the majority of her works are recorded in the Archives of the National Museum Gallery Registration, also in D.C. She is sometimes cited as a Hawaiian artist--she lived in Kauai the last 15 years of her life--but she was living in California when she painted this plein air work. 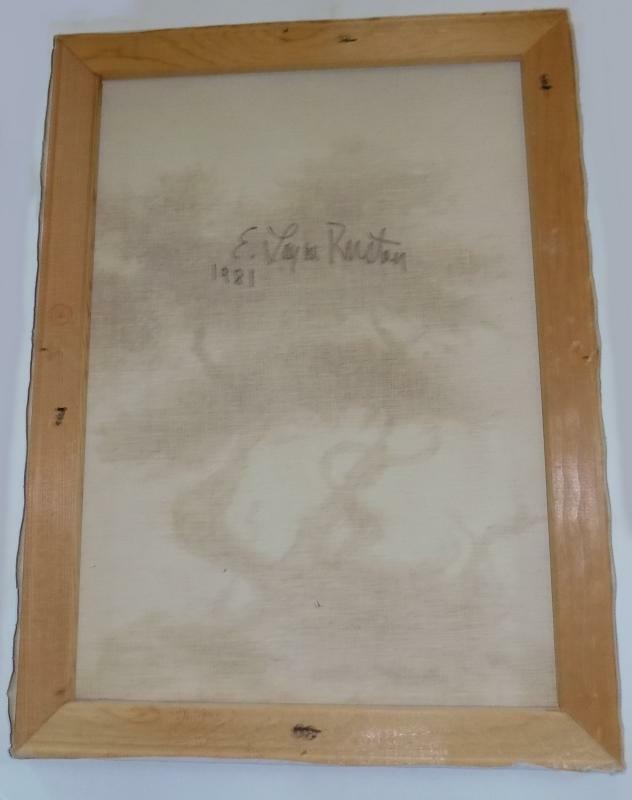 The painting is signed in two places: on the lower right, incised into the paint, and on the reverse in brown paint, along with the 1981 date. Tucked in a corner on the back of the painting, we found the buff-colored 8 1/2 by 5 1/2 inch card shown in one of our photos. 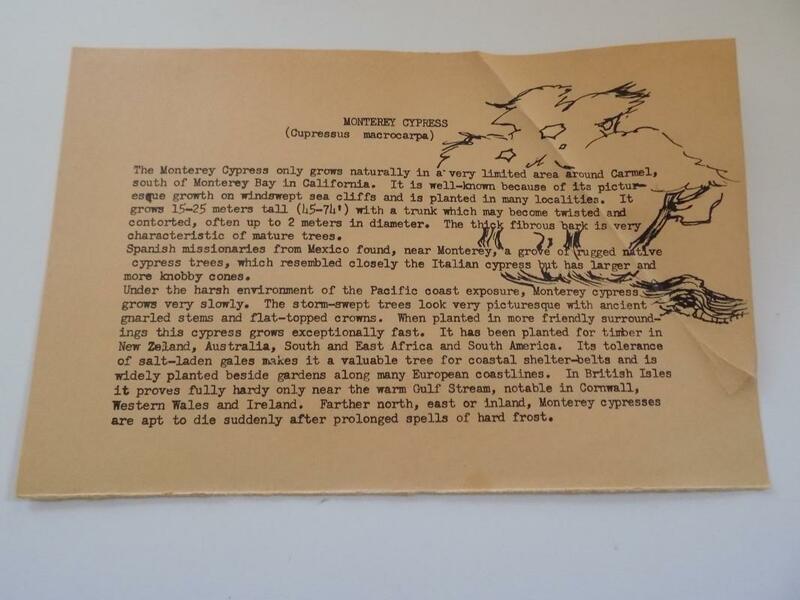 Printed on a typewriter, presumably by Mrs. Rustan, it provides information about the Monterey Cypress tree and is adorned with a pen and ink sketch. It's a nice lagniappe to accompany the artwork. 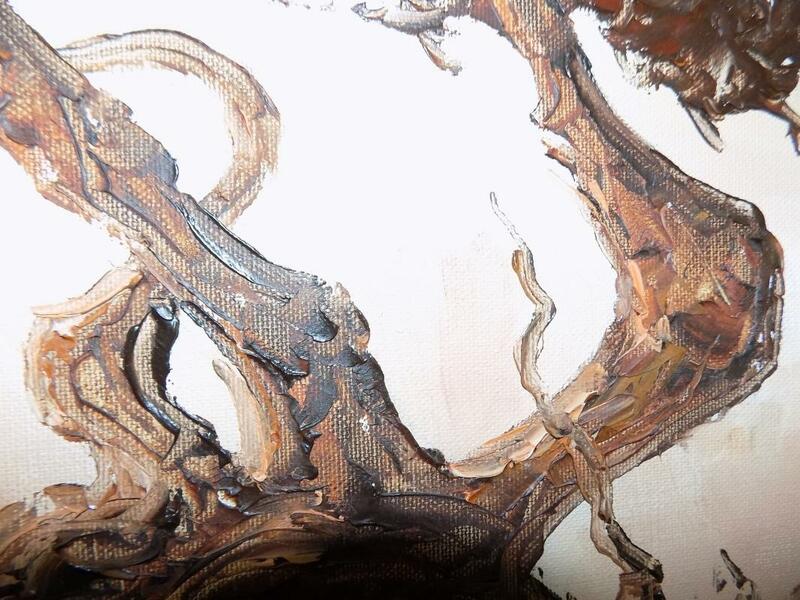 The painting measures 18 inches by 24 inches and is stretchered and unframed. The condition is very good; there are some minor abrasions along the edges, the colors are strong and the canvas undamaged with no repairs. 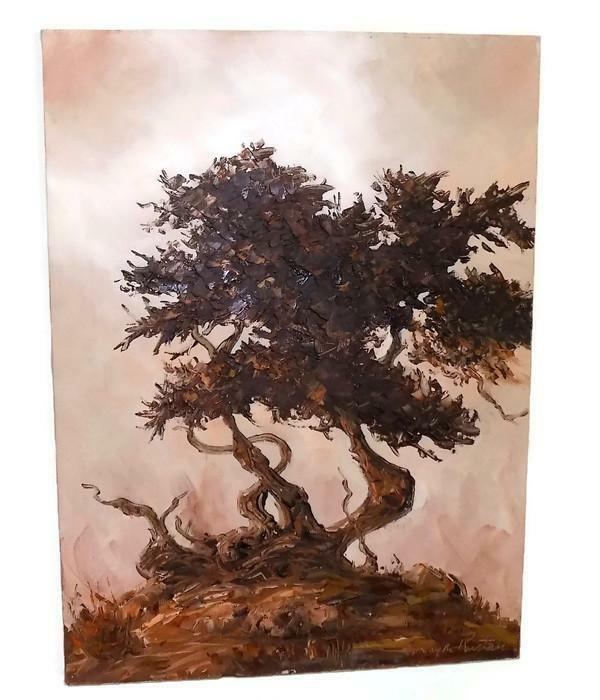 This is a wonderful opportunity to own an artwork by a very talented American artist.